Welcome to my blog! Though I work as a children’s book illustrator (visit www.melissaiwai.com to view my site) Two of my other passions are cooking and painting. Actually painting and cooking are quite similar. Both involve a set structure–rules to follow (or choose to break), but both also contain the element of surprise and spontaneity—which is where the real creativity and fun come in. I’ve baked since I was a kid, but only started cooking after getting married. Then after gaining about ten pounds after a few years of making and enjoying rich, home cooked meals and desserts, I realized I needed to make a few changes in our diets — decreasing saturated fats and processed food and increasing fruits, vegetables, and whole grains. i’ll come here often to check up on you and nick your recipes, okay? okay! Whoo hoo — you’re my first post, girly. Arigatoo! I’ll call you this weekend — we’re going to see my mom. When Kendra and I were in Chicago, we dined at Alinea. You must have heard of it-if not, check out the website. It was one of the coolest events I have ever experienced. You MUST go! Thanks — I’ll check it out! I just absolutely adore recieving your emails and reading your recipes on this site! Discovered your site while trying to find a good pastry recipe for a fruit tart. Loved the pictures of your son designing his mini tarts. I used the recipe that you had posted for the pastry crust-wonderful! Looking forward to many more wonderful posts! Hi Melissa. I love your recipes and blog, therefore I’ve I’ve nominated you for the One Lovely Blog Award. I love your blog! I will be coming here often to check out new ideas and to drool over the fab pictures!!! Love your recipes! They are different and so intriguing. Your creativity in cooking is on a par with your creativity as an illustrator! Best of success to you in all your endeavors! Thanks so much for your nice message — so sweet of you! Your food looks amazing! Can’t wait to try some recipes!! Love your blog….the more posts I get to see, the more I get hungry…I love your recipes! Melissa, your life is truly aspiring. I’m so glad to have found your blog! I found you thru Food Buzz. I wanted to say hi and how much I love your blog and recipes. Will def give a few of them a try. Thanks for sharing. Oh my gosh, I just love that you cook with your son!!! How very wonderful. I’m looking forward to following your blog and learning more about the mother/son cooking dynamic. 🙂 Say, my husband and I are trying to celebrate boys and men in the kitchen and started a submission based blog to gather stories. We would love it if you submitted a story of cooking with your son or one of his recipes! ourstorythyme.wordpress.com All best and happy cooking. I’d love to, but I had thought that only stories about dads and cooking were submitted…! I’ve nominated you for an Inspiring Blog Award – Congratulations! Thanks so much! I’ve been a little remiss about the awards… ! Thank you for stopping and liking a post today. I love the pictures of the wonderful food. It reminds me of Christmas as an everyday event. I look forward to following your culinary journey. I just came across your blog and I feel like I can relate to it already! I have always loved art and drawing/painting, but my other passion is food and I am going back to school for nutrition. I just started my own, feel free to check it out! Thank you, Mom of Dragon Boy! Felt I needed to leave a comment after I went on a “like” frenzy with some of your posts. Love your blog! Looking forward to reading more of your old posts and checking out the new posts as well. Everything looks so yummy! This is the prettiest blog I’ve ever seen! You are very nice, Melissa. Thanks! I first want to say thank you for such wonderful work in creating your blog! If you’d like to try a sample to review on your blog, we’d be happy to send it! Feel free to email or contact me through my blog (www.relizabethpaleorunner.blogspot.com) if you decide this is something that interests you. Hi Melissa! Well, aren’t you talented! I visited your website and simply loved the illustrations. And your blog has some very interesting recipes. Way to go! I really like your blog I need easy home recipes for my vegetarian daughter. Thank you! I just visited yours — beautiful photography! 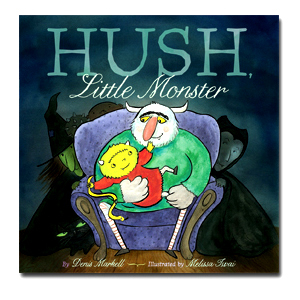 Awesome blog and books! Just love your blog! Cooking with kids is an adventure. and joyful. and messy. Hi H.A. 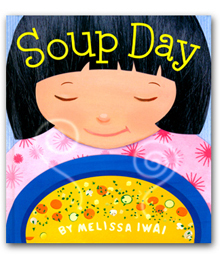 I love your soup book and bought it for my granddaughter and a friend’s child! I am writing to comment on your latest post about the cacao powder. I switched to cacao nibs because on a medical show in which an organic testing man was showcased, he said that he had tested cacao powder and it was full of heavy metals but the same was not true of cacao nibs, so I switched to Navitas cacao nibs. They need more processing here at home, but they are safer. Apparently many of the “superfoods” from South America have this problem. Just thought you would want to know. Thank you for your great blog!! Thanks about the book! That’s interesting about what you saw on the show. Are you sure it was raw cacao powder and not processed cocoa powder? Everything I’ve read says that raw cacao powder and cacao nibs are the same and have the same benefits, it’s just that the nibs are not ground. I asked at my health food store and the guy there said it just depends on what you are using them for. If you want to make smoothies or dissolve the cacao, then the powder is the way to go. If you want to make your own chocolate, then the cacao nibs are the way to go. The nibs cannot be blended easily– they are very gritty and bitter. They had some samples out, and I tasted some, and it wasn’t bad, but the nibs in the trail mix were really, really tiny, not like the bagged Nativa Cacao Nibs. It’d be great if you could share your info about how they are safer — I’d really appreciate it! And I would even go back to the store and tell the people there, as they should know, and probably would want to know as well ! Thanks again! Thanks so much! Will check it out! So sweet of you — thanks again! I’m sorry I haven’t been posting as I used to- really busy with my art work! I just want to thank you, because you were the first person to like something on my blog! Thanks for liking my blog posts at https://dineinmykitchen.wordpress.com. You have nice blog. It’s interesting to read your bio- I totally relate to everything you have just said here. I’m looking forward to reading through your blog and upcoming posts!! Awww that’s so sweet!!!!! Thanks!!! !